Get Faster Results with Clients Now! *Do you sometimes feel disappointed with the results you have been getting with clients? *Do you wish you could bring about even faster relief for clients? *Do you want to add a simple and powerful method for helping your clients to your toolkit? Thought Field Therapy® Trainings: Get Faster Results with Clients Now! Jenny Edwards, TFT-VT offers Thought Field Therapy® trainings in Denver, Colorado and other locations in the United States and around the world. a step-by-step process for resolving a client’s trauma in as little as one session! an easy, gentle tool for helping clients overcome the most severe problems. Some examples are traumas, phobias, addictive urge, depression, obsessive-compulsive disorder, complex anxiety disorder, physical pain, and much more! In addition, Jenny also offers other courses in TFT, including half-day and full-day seminars on topics such as weight loss, stress and anxiety, addictions, phobias, traumas, and other topics. Thought Field Therapy® (TFT) offers fast relief for most emotional, psychological, and personal problems. It is so rapid and effective that it can accomplish—in just a few short sessions—results that used to take years of traditional psychotherapy appointments. Help your clients faster! You can either attend her Thought Field Therapy® trainings or invite her to present TFT seminars for your group. She can be reached at info@thoughtfieldtherapytrainings.com. Jenny has searched her entire life for increasingly effective healing practices. When she heard of Thought Field Therapy in March, 1997, she knew that one of her missions was to take it into Third-World countries. The following summer, she became trained in Levels I and II of TFT. As she began using it, she was impressed with the immediate results that it produced. 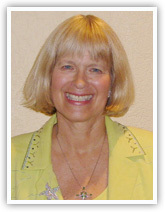 In January, 1998, she took the TFT Diagnostic training from Dr. Callahan. She began conducting trainings in the Denver area in June, 1998, and happened to be training a group of people in Nairobi, Kenya in August, 1998 when the bombing of the American Embassy occurred. She was able to go to Kenyatta Hospital and help trauma victims eliminate their trauma, flashbacks and pain from the bombing. Since then, she has given trainings around the world, in addition to the trainings that she conducts in the United States. Another one of her missions was to introduce TFT into schools. She has trained numerous educators who have used TFT in their schools to eliminate test anxiety, writing reversals, lack of focus and other blocks to learning, as well as trauma, anger, rage, guilt, phobias, anxiety, stress, pain and addictions, for both students and teachers. She has worked with doctoral level students to help them eliminate past educational traumas, writer’s block, blocks to finishing and procrastination, among other things. She has worked with students from other countries to help them get over the traumas of wars, being separated from family and friends, abuse, and other difficulties in order to enable them to be able to focus on learning in their present situations. In 1999, she became trained in Voice Technology and has been using it to assist clients both in the United States and in other countries. She also holds Master Practitioner in Neuro-Linguistic Programming certification, as well as Clinical Hypnotherapist certification. Her doctorate is in Human and Organizational Systems.